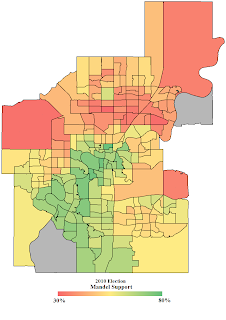 So right before the Edmonton election results came out last week, I was extremely excited to run a full statistical analysis on them. 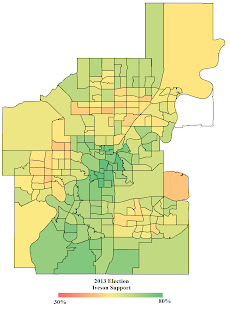 I was really eager to see if the effects of signs and flyering could be quantified. 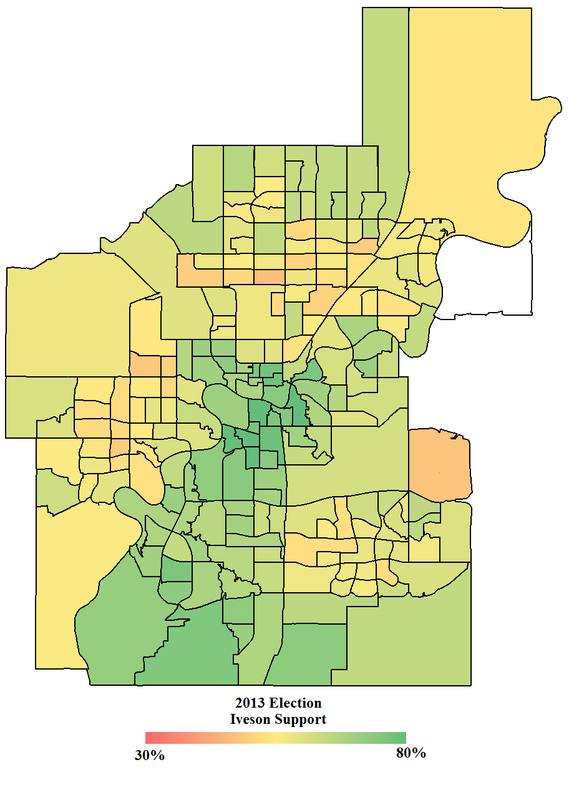 In fact, the only areas where Iveson 2013 really seemed to lose relative to Mandel 2010 were in Karen Leibovici's ward, in the southwest of the city just north of the river. 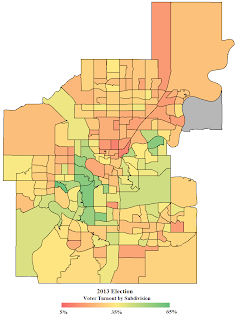 No such effect is really noticed in Kerry Diotte's ward. So if an analysis on what campaign variables are most important in the election is now difficult (because, let's face it, no factors really contributed to success of other candidates), what can we do? Two things to notice here: first of all, there's a very slight upward trend, which is common for election winners (after all, if the voting subdivisions with lots of voters didn't like you, you wouldn't be likely to win). Also, the fact that this trend is only slight is a good indicator that the election wasn't rigged. 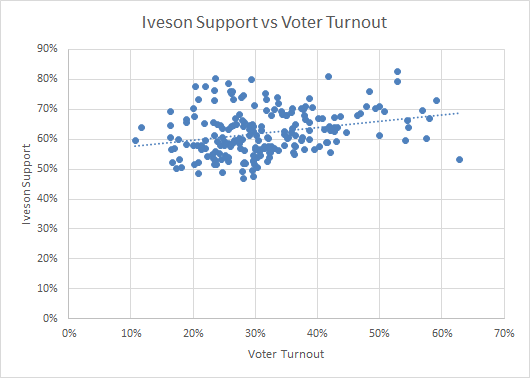 There hasn't been much suspicion that the election was rigged (as far as I know), but a similar analysis of Russian election data suggests that certain trends in graphs like this can indicate fishy behavior. In Ward 2, there's a decently strong positive correlation between Esslinger's support and Iveson's, while in Ward 7 there's a similarly strong but negative correlation between Caterina and Iveson. *=Voted against Mandel on arena deal. Colours are more or less arbitrary. This is very interesting, seeing as three of the bottom four councillors were the three who ultimately disagreed with the mayor on the arena deal. Essentially what we're seeing here is that the neighborhoods that really liked Mandel didn't like Caterina, and vice versa. 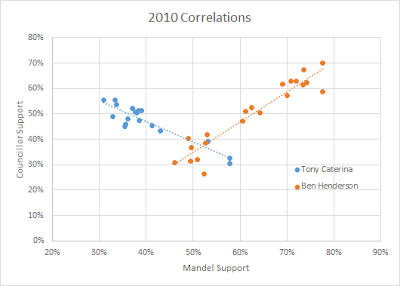 The opposite happened with Henderson - wherever Mandel was popular so was he. 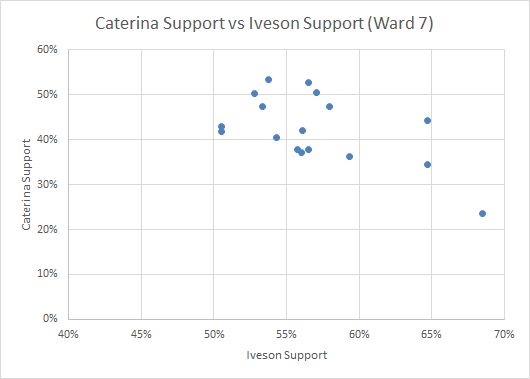 So is it plausible that councillors whose support correlates well with the mayor's are more likely to get along with him? Sure. I'd be wary of using it to predict how councillors will vote on major issues, though, as all it really indicates is how voters reacted to election promises. Here's the full list for 2013 though! 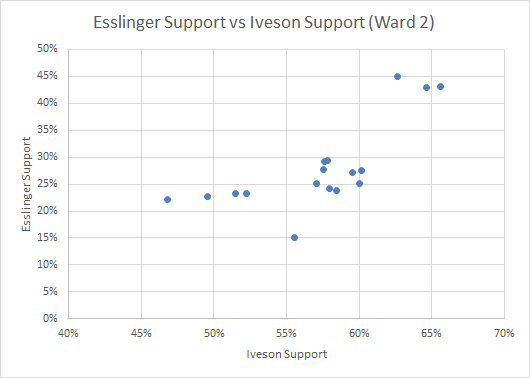 If Esslinger and Henderson tend to work well with Iveson, and Nickel and Caterina don't, just remember that math said it first! 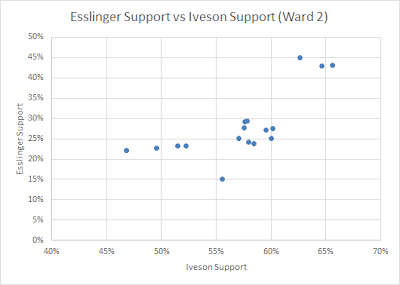 The correlation between Iveson and Walters is the most surprising thing about this post. 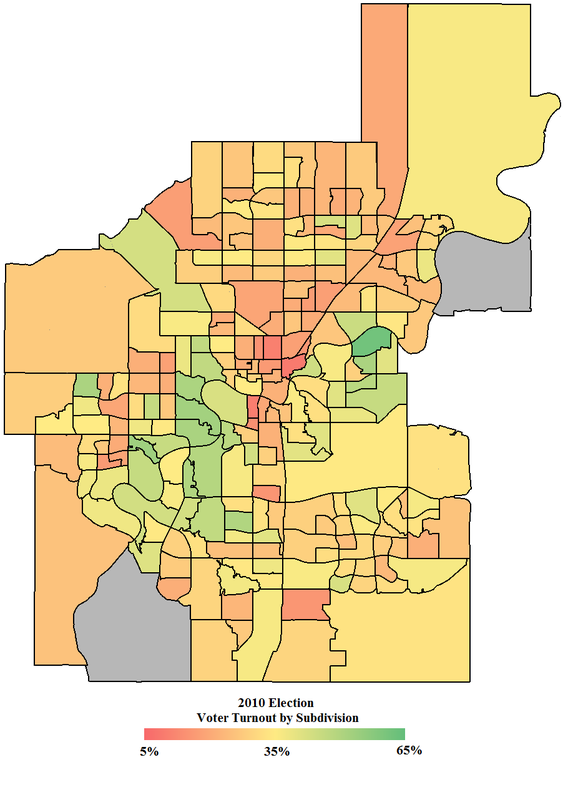 The City has open data on how people voted over the course of a term. 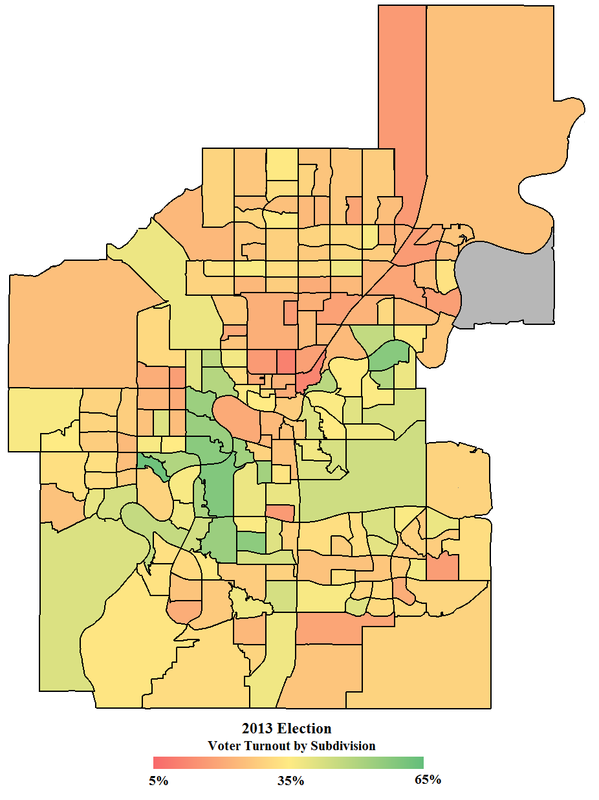 I'm pretty sure Mackmale or someone did some analysis of the correlations between the various councillors. 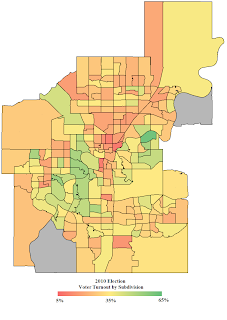 Wouldn't be that complicated to measure the percentage of the time that the councillors voted along with the last mayor, might lend some strength to the argument that correlation of support in an election is related to correlation of support in the chamber, which would be a simply astonishing piece of evidence that voters choose their candidates on the basis of what the candidates believe, and how they will vote. Just your friendly neighborhood stats! 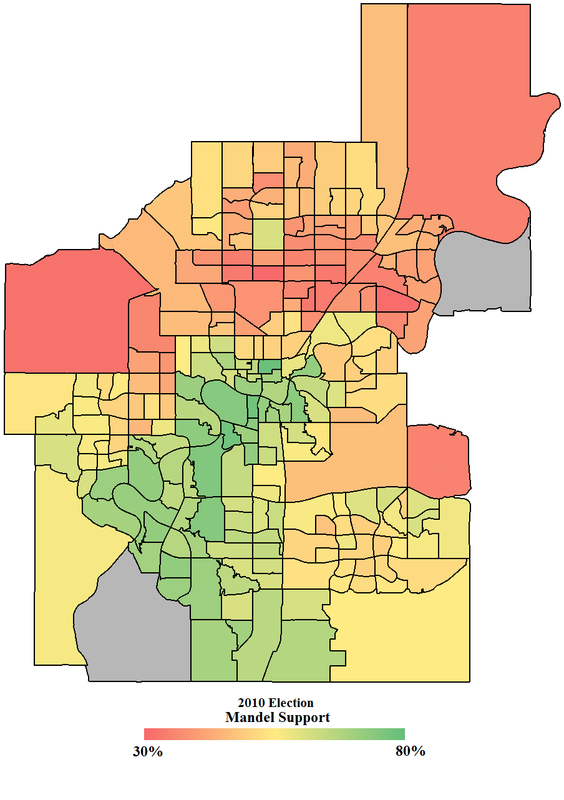 Edmonton nerd fascinated by all things science, math, political, and engineering.